The furoshiki is said to have acquired its name during the Edo Period. some time between early 17h century and the mid 19th century. 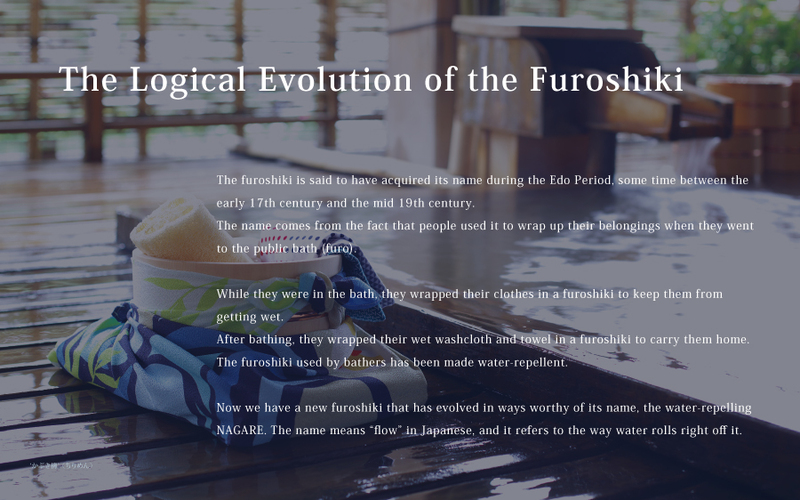 The name comes from the fact that people used it to wrap up their belongings when they went to the public bath (Furo). While they were in the bath. they wrapped their clothes in a furoshiki to keep them from getting wet. 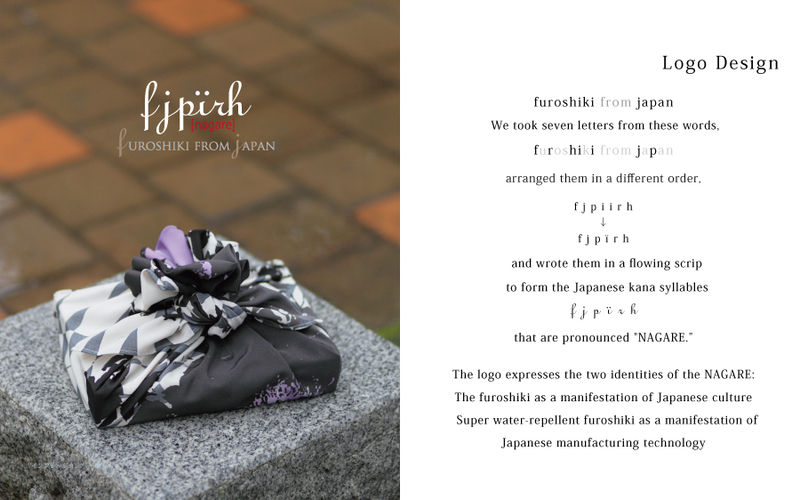 Afte bathing, they wrapped their wet washcloth and towel in a furoshiki to carry them home. 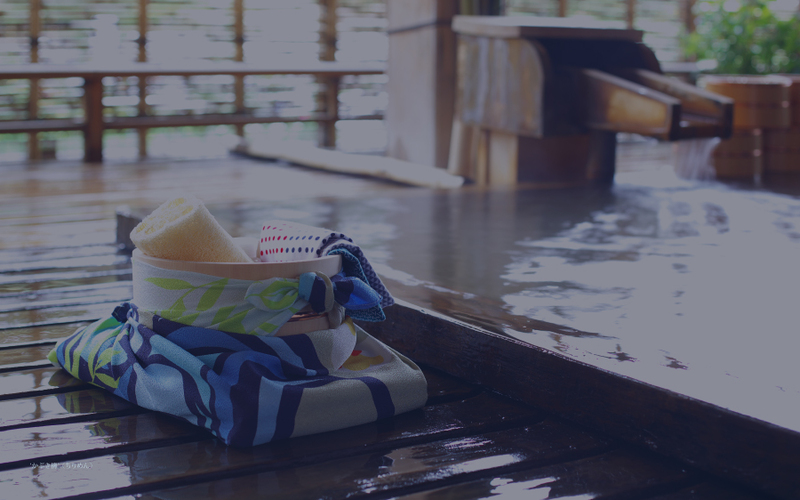 The furoshiki used by bathers has been made water repellent. Now we have a new furoshiki that has evolved in ways worthy of its name, the water-repelling NAGARE. The name means "flow" in Japanese. and it refers top the way water rolls right off it. If a material is water repellent. that means that it doesn't absorb water. If you splash water on a lotus leaf, the water literally forms droplets and rolls right off. 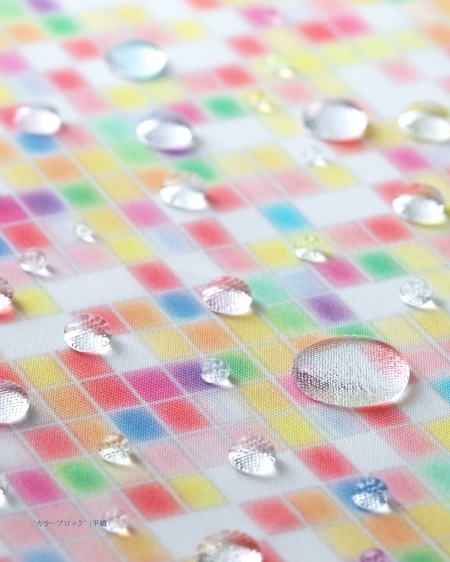 The Same thing happens if you splash water on a super water-repellent NAGARE. In other words, this is a cloth that never gets wet and anything that is wrapped in it stays dry, too. If you're carrying something important that you don't want to get wet. a NAGARE will protect it from a sudden rain shower. 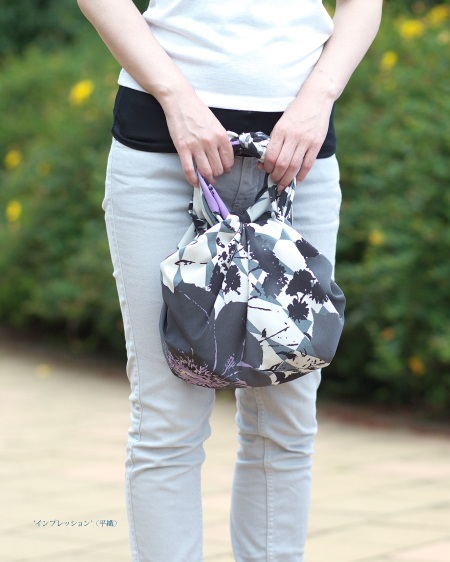 Keep a NAGARE inside your everyday bag for just such occasions. You are sure to find it useful in all kinds of situations. 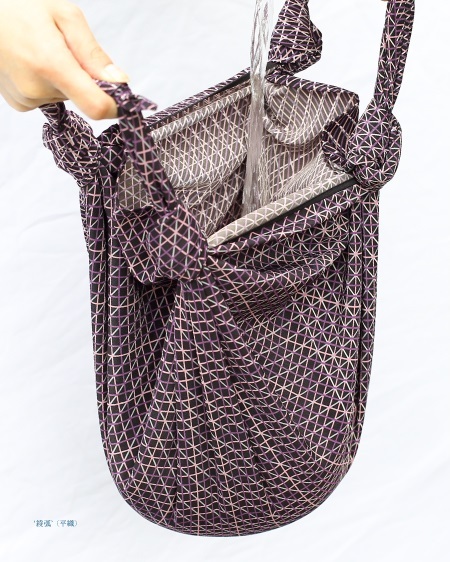 You can use it as an environmentally friendly replacement for a shopping bag or even as an emergency umbrella. Please do not use softener, because water repellency decreases. The NAGARE certainly repels water. 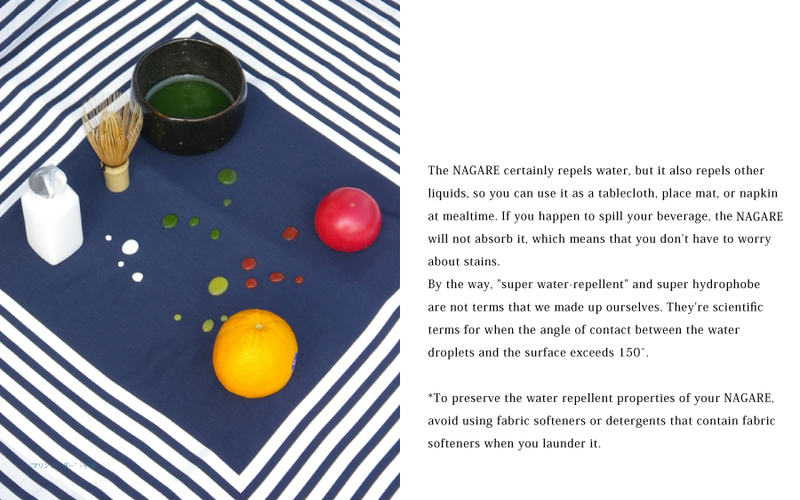 but it also repels other liquids, so you can use it as tablecloth, place mat, or napkin at mealtime, if you happen to spill your beverage, the NAGARE will not absorb it, which means that you don't have to worry about stains. By the way, "super water-repellent" and super hydrophone are not terms that we made up ourselves. They're scientific terms for when the angle of contact between the water droplets and the surface exceeds 150*. 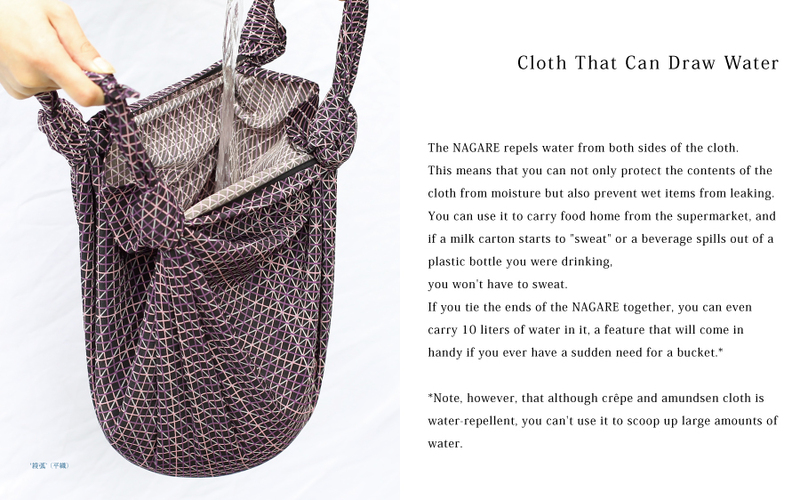 The NAGARE repels water from both sides of the cloth. This means that you can not only protect the contents of the cloth from moisture but also prevent wet items from leaking. You can use it to carry food home from the supermarket, and if a milk carton starts to "sweat" or a beverage spills out of a plastic bottle you were drinking, you won't have to sweat. * However, that although crepe and amundsen cloth is water-repellent, you can't use it to scoop up large amounts of water. 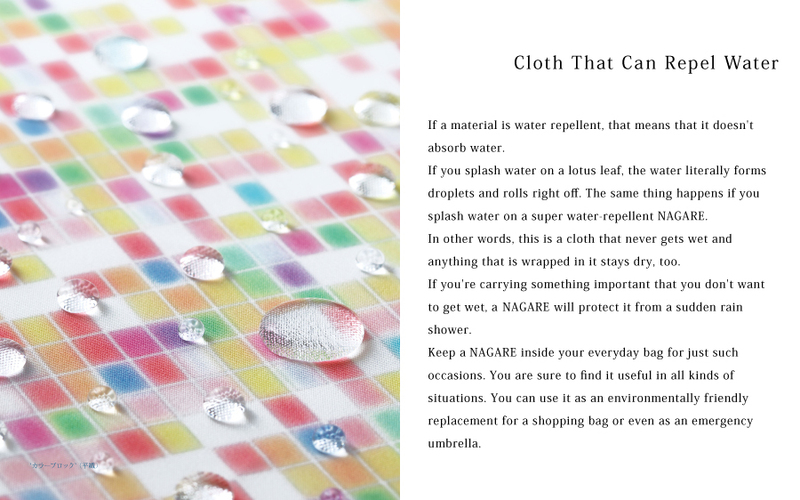 The water-repellent fabric that the NAGARE is made of differs from ordinary waterproof cloth in being breathable and stretchable. 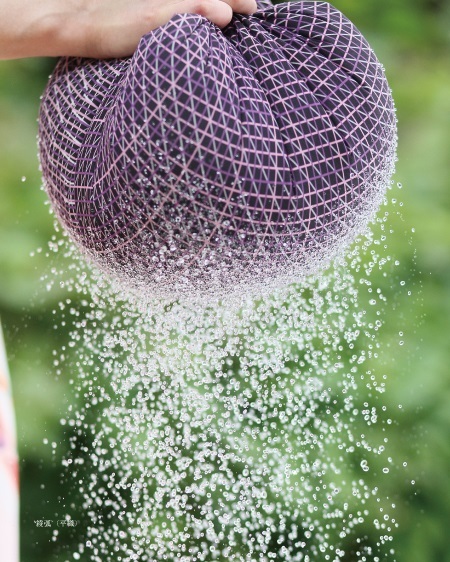 You can use this feature to water plants when you don't have a bucket or sprinkling can. 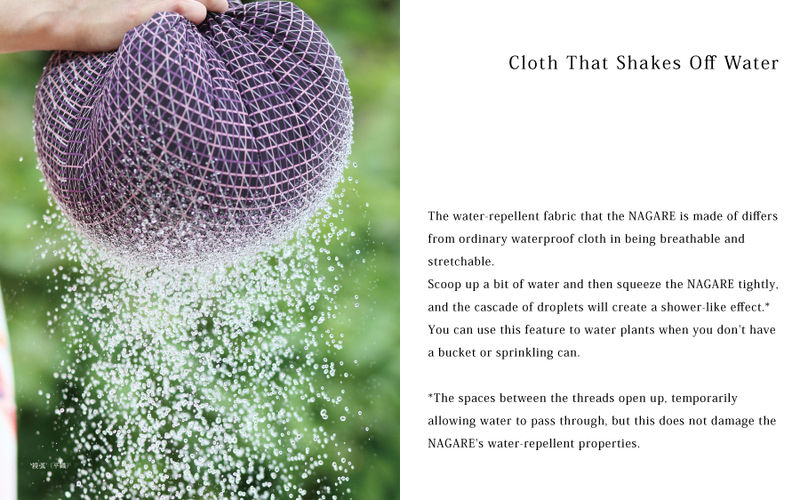 *The spaces between the threads open up, temporarily allowing water to pass through, but this does not damage the NAGARE's water-repellent properties. 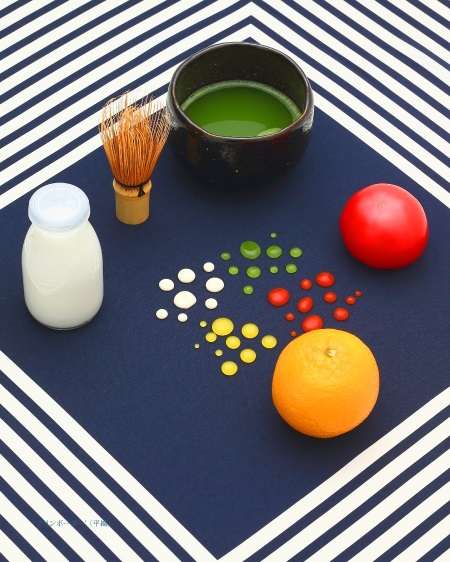 At first glance, a furoshiki is Just an ordinary square of cloth. 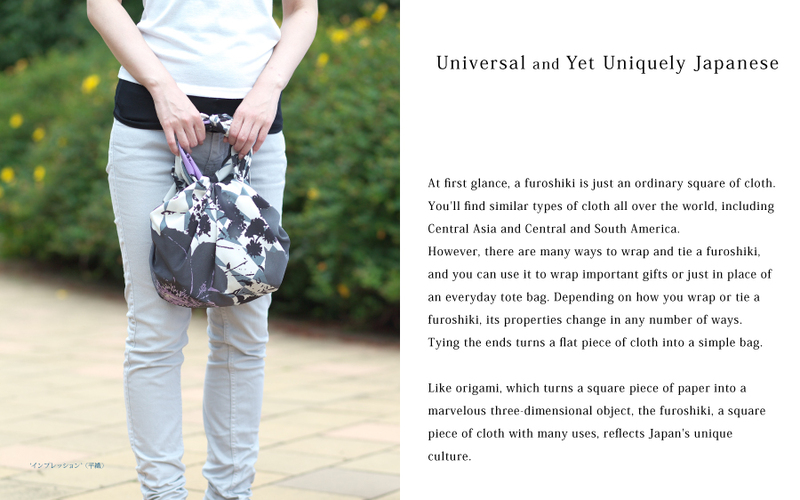 You'll find similar types of cloth all over the world, Including Central Asia and Central and South America. 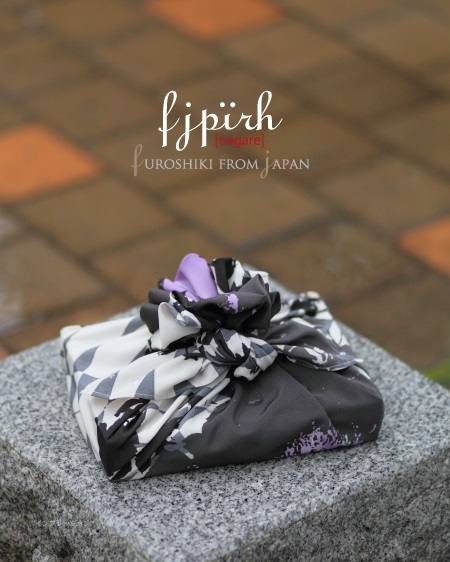 However, there are many ways to wrap and tie a furoshiki, and you can use it to wrap important gifts or Just In place of an everyday tote bag. Depending on how you wrap or tie a furoshiki, its properties change in any number of ways. Tying the ends turns a flat piece of cloth into a simple bag. Like origami, which turns a square piece of paper into a marvelous three-dimensional object, the furoshiki, a square piece of cloth with many uses, reflects Japan's unique culture. “ながれ” and “dewelry” are register trademarks of ASAKURA SENPU CO.,LTD.